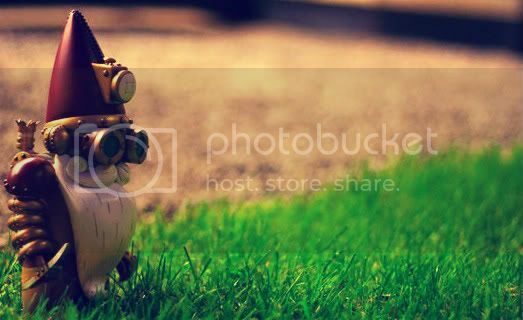 Today I would like to talk about the steampunk inside a more casual and weareable fashion. In summary, specially T-shirts and other clothes where we can find some references to that style, we don't have to give up what we like in the day to day. I'm going to start with some products from Hottopic, a shop that offers us a lot of clothes with differents prints. In this case, My little pony, that leave butterflies and cakes to wear goggles. 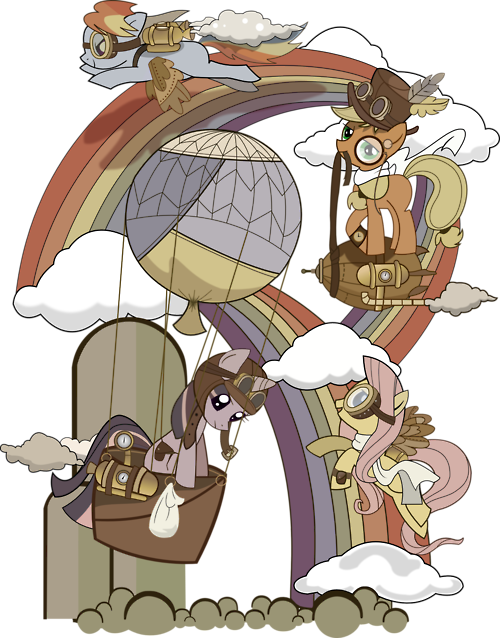 Relatively recently, My little pony is a cartoon series with her own characters, some of these characters appears in this T-shirt: Rainbow Dash on the top with mechanical wings and an aeropropulsor, AppleJack on a rocket with a very "feel like a sir" style , Fluttershy with her wings and Twilight Sparkle with her hot air balloon. In my opinion, it's a very original idea transforming these characters that belongs to the "pop culture", to adapt them to the steampunk aesthetic. In this case, I'm a person who have a nice time watching privately My little pony. I really like the adaptation and that these characters have been chosen (They are very known in the net). It's a pity the grey background, it doesn't fit, but it looks like comfortable (And original, of course). It's in my infinite wishlist. Empezaré por algunos productos de la tienda Hottopic, que nos ofrece gran cantidad de prendas con estampados de lo más curiosos. En este caso, My little pony, que deja de lado mariposas y pasteles para enfundarse unas goggles. Hace relativamente poco, My little pony se ha convertido en una serie de animación con sus correspondientes personajes principales, algunas de la cuales aparecen en esta camiseta: Rainbow Dash en la parte superior con alas mecánicas y un aeropropulsor, AppleJack sobre un cohete y con un estilo muy "feel like a sir", Fluttershy con sus correspondientes alitas y Twilight Sparkle en su globo. Personalmente me parece una idea bastante original el transformar a estos personajes, digamos de la "cultura pop", para adaptarlos a la estética steampunk. En este caso concreto, como persona que secretamente disfruta con la serie, he de decir que me encanta la adaptación y el que escojan estos personajes (Tan conocidos últimamente por la red). Lástima que el fondo gris no resulte muy favorecedor, pero en su defensa insisto en la comodidad que sugiere (Aparte de la originalidad). Dentro de mi infinita wishlist. My Little Ponnie Steampunk Style.